So it’s like the “it” place of India! It’s where we all head towards to let our hair down, party, honeymoon, take a break, chill, hang out or just so that you can be by the beach and away from the mess. Goa is quintessentially all of this and a lot more. People swear by its beauty and dream of settling there. The popular vacation destination of the country has been overused (we dare say) and yet there are certain places or gems that still stand undiscovered. 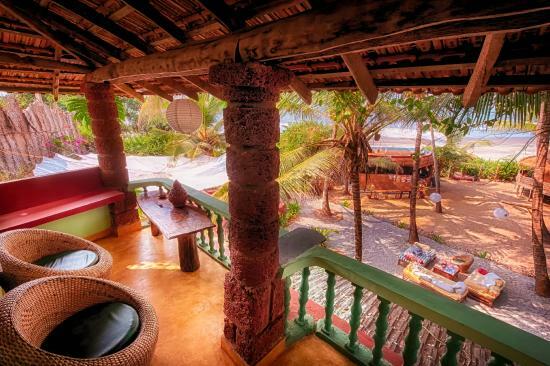 Take these unique dinner places in Goa. You think sitting in a shack and having your dinner as you sip some beer is cool, ha ha think again! You will kick yourself after reading about these unique dinner places in Goa. We aren’t saying that you haven’t been to any (if that happens, it’s sad! ), but there are many you haven’t been to on this list. We guarantee that! Unless of course you are a localite, there is no way we can beat that! Check out the most unique dinner places in Goa. You can thank us later. 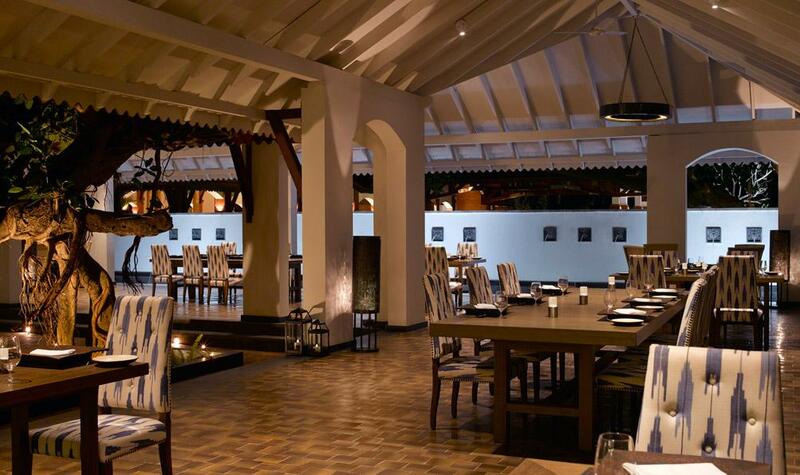 Spice Studio, Alila Diwa, turns off the lights once a week, literally! Don’t expect it to be a cozy dinner that you can have with your loved one. It’s much more adventurous and therefore memorable. The focus is on getting you to use the other senses except sight, in order to explore and enjoy the food. 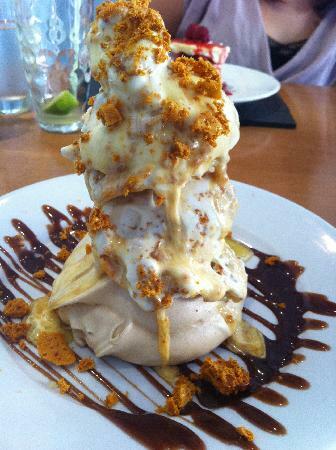 The whole idea of touching/feeling every item on the dish and savouring it is worth every penny. It costs Rs 900 plus taxes. It’s conducted on every Thursday from 8pm. Ever wanted to be at a place where you strike a conversation over dinner with some unknown person and really hit it off? If yes, this is your place. The Old Portuguese mansion is beautifully restored in its beauty and run by the brother-sister duo. The icing on the cake is their community dining table for 15 people wherein guests sit for dinner and have meaningful, fun conversations with strangers. The prices may vary depending on the spread. A la carte is available too. Check their page here. Named l’Atelier, their restaurant is created to not only inspire but also innovate. It’s one of the best places that represent cooking as an art. Not only can one watch the food being cooked in the open space, but can also participate in cooking one’s own meal. The beautiful Ashvem beach provides the perfect ambience. The two-hour cooking class costs Rs 3000 per person. Bookings are advisable. Looking for an unexpected produce in a contemporary look in Goa? 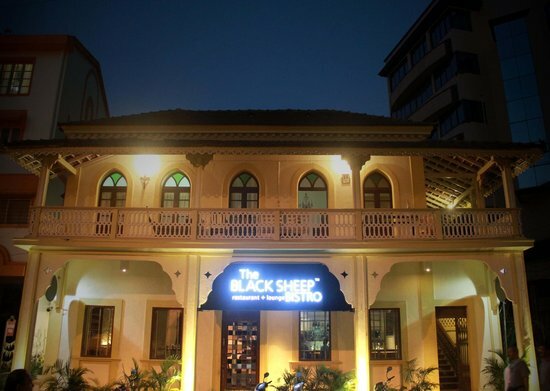 Check out The Black Sheep Bistro. The owners thoroughly believe and uphold the farm-to-table concept of a meal. 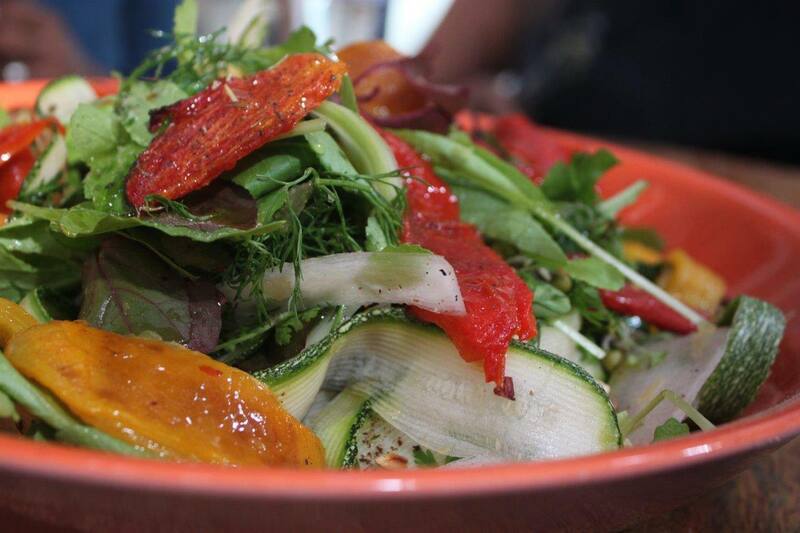 The result, you get some of the best, meticulously selected fresh produce, cooked up in a modern dish on your table. It’s as fresh as it can get. Their cocktail menu is drool worthy! From French to Bengali, Mustard includes the flavour of mustard in each cuisine. As if this uniqueness and innovation in world cuisine wasn’t enough, Mustard now organizes live theatre plays and performances for its clients. Moreover, you can also chip in a line or two in the play if you feel like. Their range of beers and wines are worth trying. If you wish to participate in their shows follow their Facebook page here. This is the ultimate tribute to the Goa flea and night market. Grand Hyatt twisted it in its unique way. Hop on this fantastic sea food carnival. From the obvious array of sea food delicacies to the lesser know preparations, Hyatt Goa is a perfect treat to the taste buds and the feel of Goa as you sit by the Bambolim beach. You can head over to The Dining Room to enjoy sea food dishes cooked to your taste. Attend the event every Wednesday night between 7 and 11:30pm. Rs 2500 per person (inclusive of taxes). The most expensive of the lot, but if you can afford it, there’s nothing like this one. If you are looking to celebrate a beautiful evening with your date, pre-book the table at least 24 hours prior to the date (check the weather). You will receive an absolute privacy as you enjoy the beautiful sunset while the hotel staff assist you. So this is our list of the unexplored dinner places in Goa. If you think we have missed any, write to us or share in comments. After all, what’s Goa without good food and loads of parties?! You may also like Awesome Food Trucks In India.